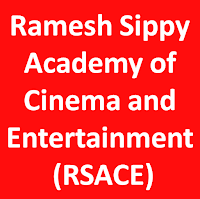 With an endeavour to give back and share the myriad experiences of over 4 decades, Mr. Ramesh Sippy gave form to Ramesh Sippy Academy of Cinema and Entertainment (RSACE), an institute that is one of its kind, bridging the gap between theory and on-set knowledge imparted by highly experienced industry professionals. 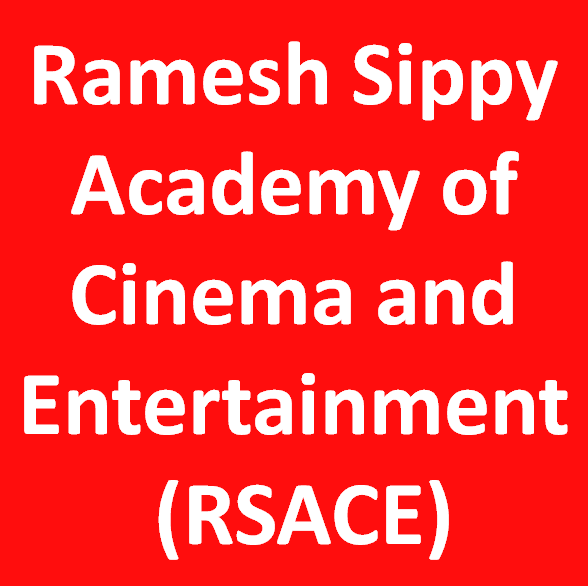 What makes RSACE truly unique is its tie-up with the highly respected and recognized, University of Mumbai in association with the Garware Institute of Career Education and Development. Each of the above courses will be taught in a 70-30% ratio of on-set and theory respectively, over 6 semesters spanning 3 years. The program will result in students being awarded a University of Mumbai graduate degree in the field of study. Film, Media and Entertainment Admission Test (FMEAT) is scheduled to commence online on 08 May 2017. The questions in the test will be objective and subjective and will basically be on areas of general knowledge, film, television & performing arts, News and current affairs both Indian & international. It will also be a test of logic, creativity and expression. Admissions will be awarded on the basis of the results of the test and a personal interview. 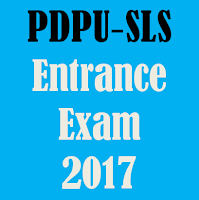 Merit for admissions will be total marks obtained in Written Test and Personal Interview. The candidate has to appear for both - the Written Test and Personal Interview to remain eligible to qualify for the Merit List. 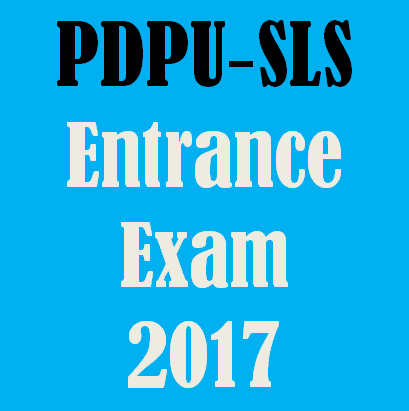 The written test and personal interview will be conducted on 17th June 2017. The written test will evaluate the applicant's competence in the following areas: English, Verbal Ability and Reading Comprehension, Quantitative Aptitude, Logical Reasoning, General Knowledge and Essay Writing. The test will be worth 50 marks and will have 100 multiple choice type questions (with ½ mark for each question) to be answered in 90 minutes and Essay writing of 25 marks in 30 minutes. Essay can be written in English, Hindi or Gujarati; as well as in prose or in poetry. There will be no negative marking. The personal interview will be worth 25 marks and will evaluate the candidates on communication (10 marks), approach and aptitude (10 marks) and co-curricular activities and sports (05 marks). The candidates must bring all certificates for achievements in co-curricular and sports at the time of the Interview. 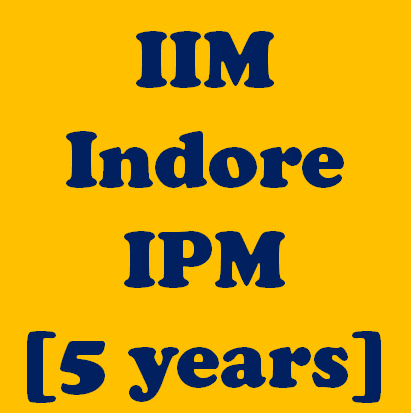 IIM-Indore offers a five year integrated program in management (IPM). The program consists of 15 terms spread over a period of 5 years, with each year having 3 terms of 3 months each. IPM consists of two parts: the first three years build a foundation, and the last two years focus on management. 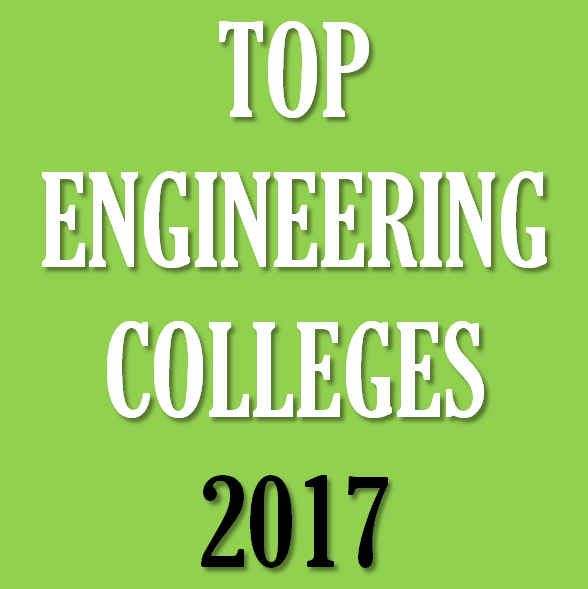 Courses in Science, Engineering, Humanities, Literature and Fine Arts provide breadth and perspective. After 3 years of intensive study of foundational disciplines, the IPM students train as managers along with the students of the Institute’s 2-year Post Graduate Programme in Management (PGP), undertaking the same course package in management studies in years 4 and 5. IPM students are required to complete a social internship at the end of year 3, and a business internship between years 4 and 5. 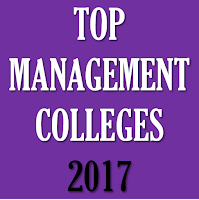 This experiential learning inculcates leadership qualities in them and hones their managerial skills further. 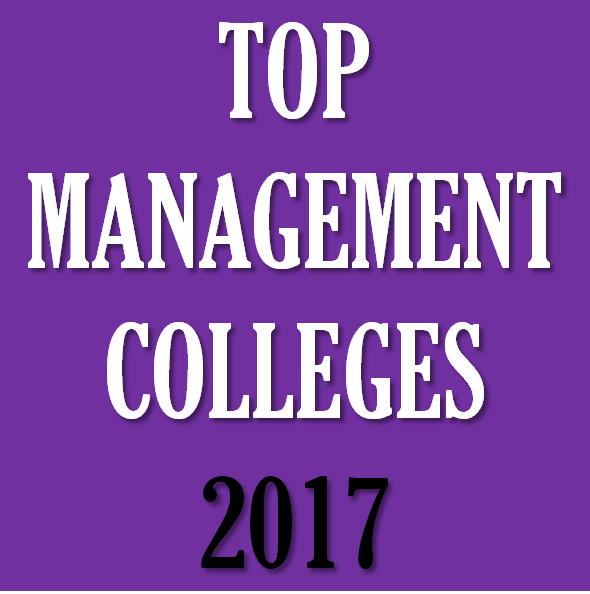 National Institutional Ranking Framework (NIRF) under the Ministry of Human Resource Development (HRD) - Government of India has released the ranking of top management colleges for 2017. 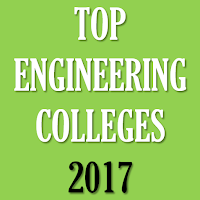 National Institutional Ranking Framework (NIRF) under the Ministry of Human Resource Development (HRD) - Government of India has released the ranking of top engineering colleges for 2017.